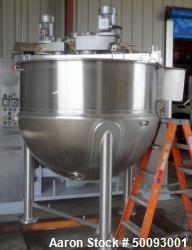 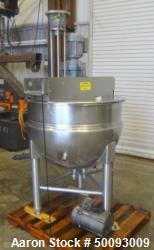 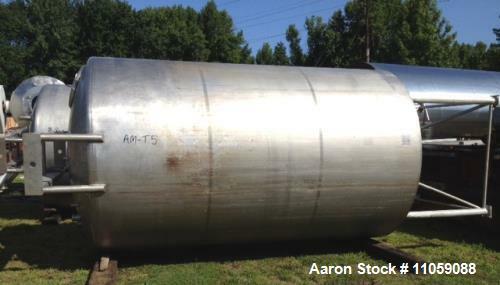 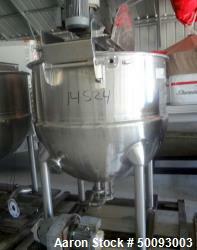 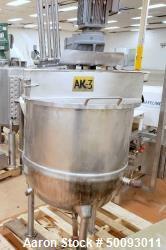 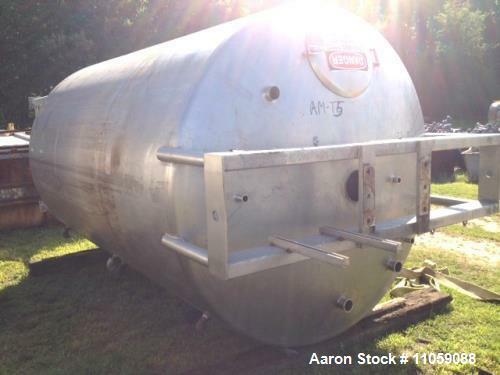 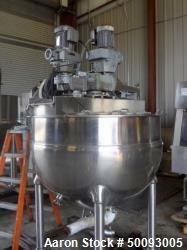 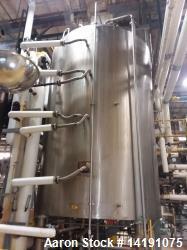 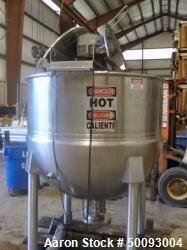 Used- DCI, 3000 gallon, Stainless Steel, Jacketed Tank. 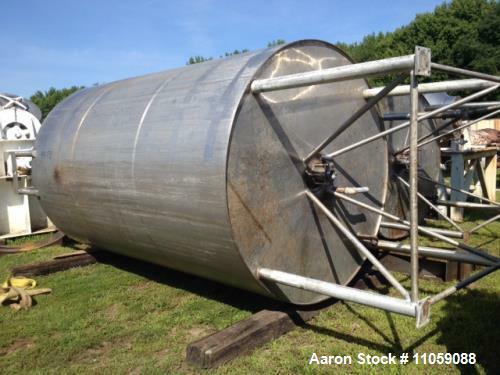 Approximately 7' ID x 11' T/T. 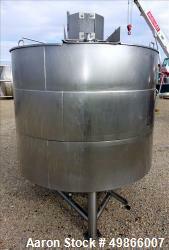 (7'6" OD x 17'10" OAH). 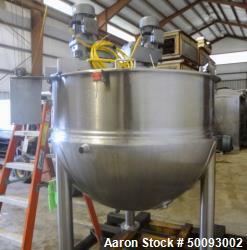 Has mount for mixer but no mixer available. 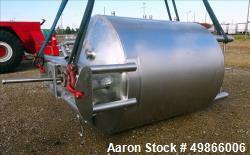 Jacket rated for 65 PSI @ 300 Deg.F. 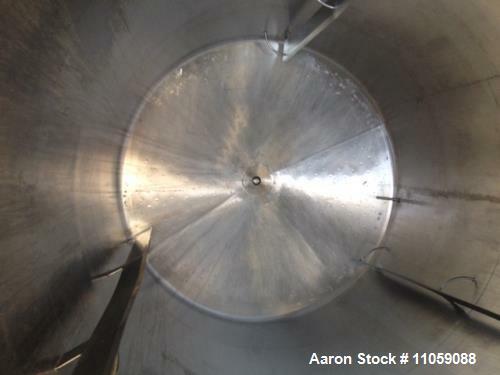 3" center bottom outlet with ball valve. 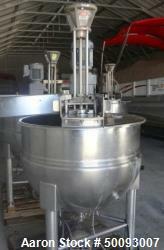 Last used in sanitary application.